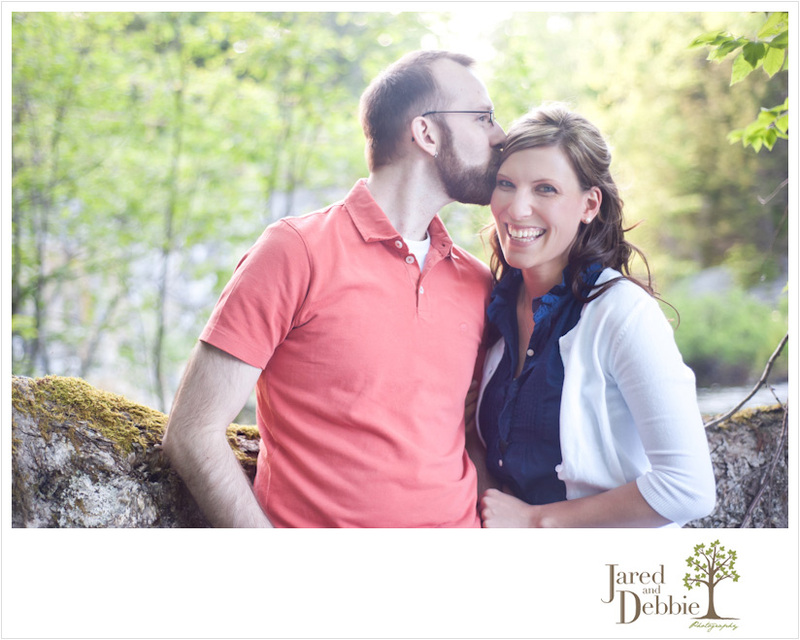 From the very first contact we had with Meagan and Tim, we knew they would be dream clients for a number of reasons. I still remember ready their inquiry out loud to Jared and saying, “Isn’t that the most perfect inquiry EVER? 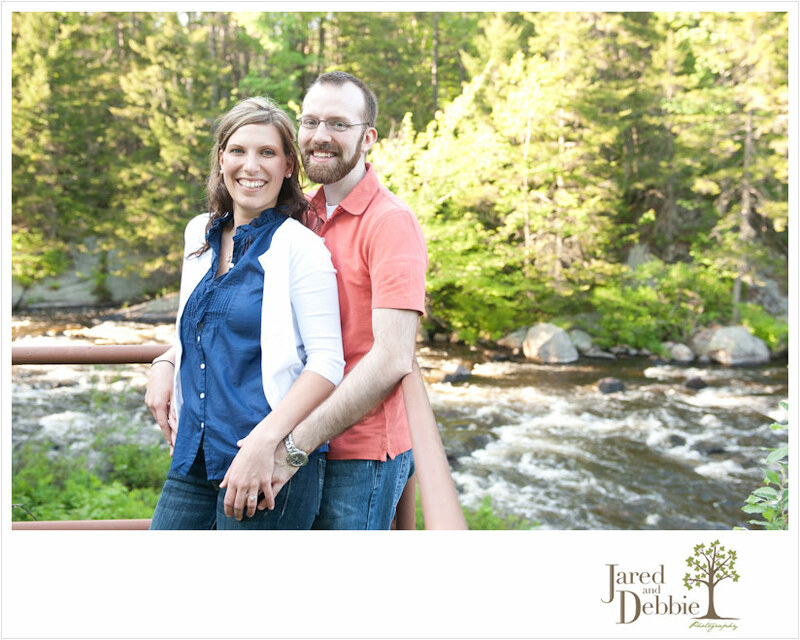 !” You see Meagan and Tim had been looking tirelessly for wedding photographers in the Adirondacks in their price range and who offered a modern, photojournalistic style of photography. After browsing our images, and reading and completely relating to our Back to Our Roots post, they knew we were the photographers for them! 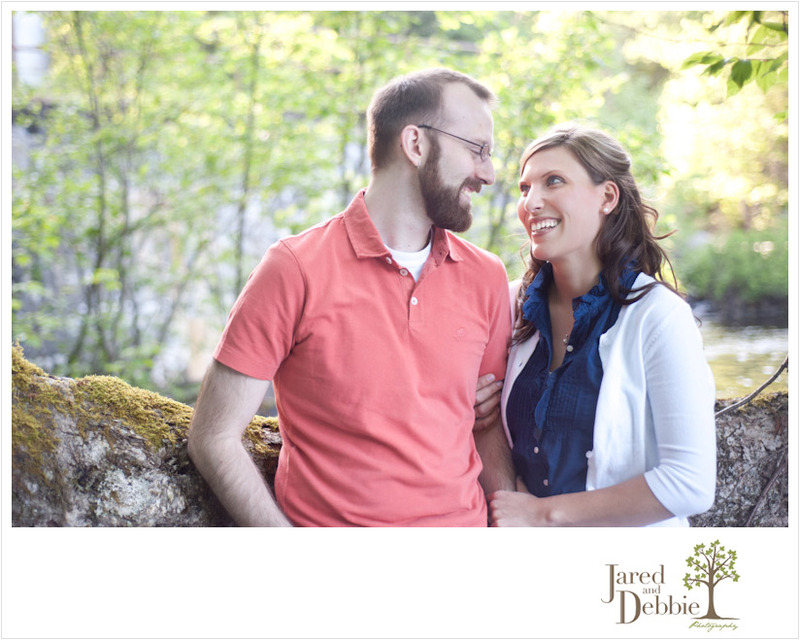 With fingers crossed, they emailed us, hoping we had the date of their August wedding open. And thank goodness, we did! With a love of all things outdoors, we had no doubt we’d hit it off with these two. After spending the morning location scouting to no avail, Jared and I were a wee bit stressed when we arrived at Meagan and Tim’s motel in Tupper Lake. Thankfully, being the dream clients that they are, Meagan and Tim had already asked the motel manager if he had any ideas. Meagan handed us a brochure of local nature trails and off we went! We ended up at Daw’s Dam, tucked way back in the woods, off of an unpaved road. From the moment we stepped out of the car we were surrounded by mosquitoes but decided to venture down the path and take a look around. Calm, beautiful water at the top of the damn surrounded by lush, green trees? All at the beautiful golden hour of sunlight? Too good to be true! So off we went, WITHOUT bug spray, to start our session! Being around these two, you would think they’ve been together for 6 months rather than 6 years with how adorable and giddy they make each other! Must be love!! What you’re not seeing in these images is how Jared and I took turns fanning Meagan and Tim with one of our reflectors! It was our only defense against the mosquitoes! Can’t say that it was perfect, but definitely better than nothing! Seriously?! How gorgeous is she?!? Now, I know what you’re thinking. “Come on, Jared and Debbie! Really, the old piggy-back ride pose? How original!” But alas my friends, this was a candid moment! Meagan often jumps on Tim’s back when she is tired, and he happily carries her. Say it with me now… ADORABLE! Have I ever explained how much I love it when a guy is not afraid to smile?!? Tim rocked the smile! Meagan and Tim we can’t thank you enough for following us down a dirt road to this gem of a location!! And for finding it in the first place!! And for braving the mosquitos for the sake of photography!! You’ve truly earned the Dream Clients title. Can’t wait for wedding bells at The Wild Center this weekend!! Meagan Kuss - Amazing Blog!!! We can’t thank you both enough for all you’ve done!! The both of you truly are amazing individuals and photographers!! This blog is awesome, I can’t stop looking back at it. You described us so well!! Thank you sooo much!! We love you guys!!! You Rock!!! !